Imbibed with medieval interior designs, Shastri Nagar offers a comfortable and pleasurable hotel at a reasonable price. 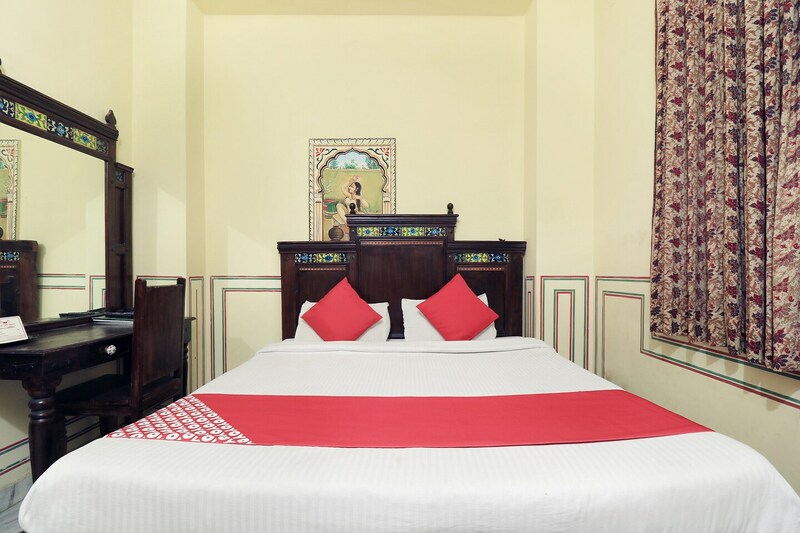 The rooms are splendid and beautiful and adorned with medieval paintings, antique furniture, patterned curtains, and dual coloured bright cushions that fill liveliness in the rooms. Absolutely clean and capacious, these rooms are equipped with essential amenities that are bound to make your stay convenient and comfortable. The bathrooms are clean and have a geyser. The hotel provides parking facility for the safety of your vehicles. The in-house restaurant offers delicious meal which fulfills your appetite to your hearts desire. A seating area and a dining area are also available at the hotel.